Oh, that is truly lovely to hear. Thank you. Thank you. This is wonderful! It reminds me of sandstone striations I’ve seen in the desert southwest. Oh, yes – snow poetry! I love that description of these wondrous sinuous lines. 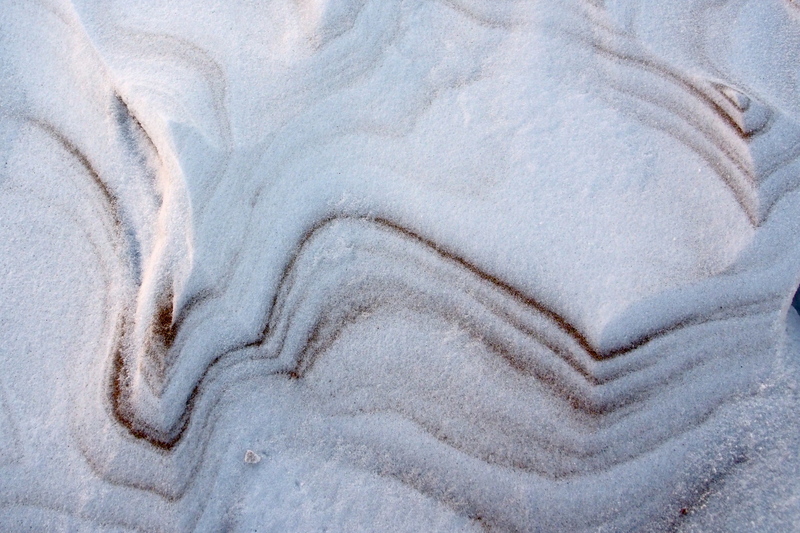 This image resembles something taken from an airplane – of wind-blown sand dunes or other geographic formation. Isn’t is amazing what the wind can sculpt? And you saw the beauty here and captured it for us. What a treat! Indeed, Mother Nature is an amazing artist, and what a wonderful example you found here, Juli. What an unexpected and extraordinary abstract. Well seen!